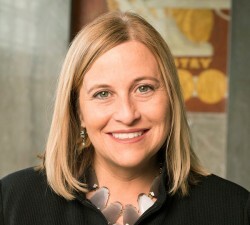 Nashville Mayor Megan Barry will speak during a “science day” Tuesday, Oct. 17, at the Belcourt Theatre hosted by the Vanderbilt Center for Addiction Research (VCAR). The half-day event, which begins at 8:45 a.m., also features a discussion of Tennessee’s opioid crisis by Stephen Loyd, M.D., medical director of Substance Abuse Services for the Tennessee Department of Mental Health and Substance Abuse Services. Loyd will speak at 9 a.m., followed by Barry at 9:30 a.m. The theatre is located at 2102 Belcourt Avenue. “As a society, we still have an incredible amount to learn about how addiction works if we are going to develop better treatments that will save lives,” Barry said in a statement. “For too long we’ve treated drugs and drug addiction as a criminal justice issue, when it is truly a medical and scientific issue that will be best addressed through rigorous research and open dialogue,” she said. VCAR, which opened earlier this year, coordinates the research activities of 36 faculty members from Vanderbilt University’s School of Medicine and College of Arts and Science who are working to define the molecular events driving addictive behavior and ultimately to develop new treatments to help people sustain long-term recovery. The center’s first annual science day, co-sponsored by the Vanderbilt Brain Institute and Department of Molecular Physiology and Biophysics, focuses on opioid addiction. “We’re very excited by the opportunity to gather the Vanderbilt community together to discuss both the nature of the opiate problem facing our city, state and nation and its neurobiological underpinnings,” said Danny Winder, Ph.D., founding director of VCAR and professor of Molecular Physiology and Biophysics, Pharmacology and Psychiatry. Research presentations will be given by Vanderbilt scientists Erin Calipari, Ph.D., and Carrie Jones, Ph.D., and by Brigitte Kieffer, Ph.D., scientific director of the Douglas Institute in Montreal, Canada. Following Kieffer’s talk, a poster session and reception will be held in the lobby of Vanderbilt’s Langford Auditorium from 12:30 p.m. to 3:30 p.m.
To register for the event and for more information, visit https://medschool.vanderbilt.edu/vcar/science-day.